We recently had a leak in the pipes under our kitchen sink. 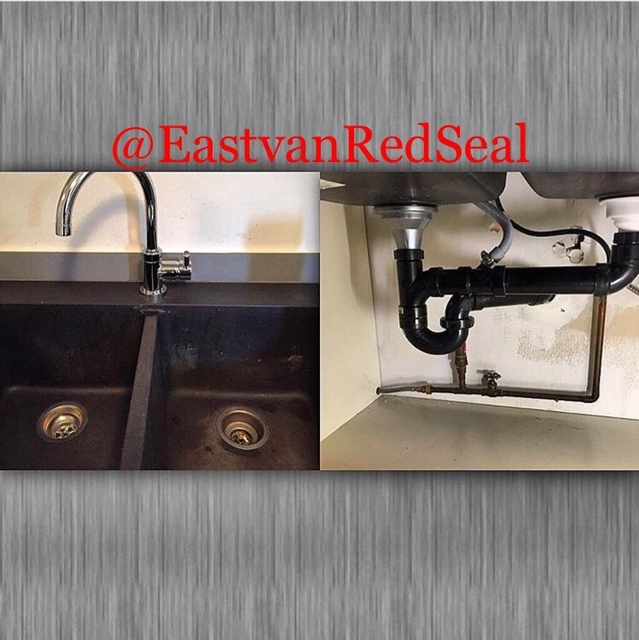 I started Googling for plumbers in the metro vancouver area and came across some excellent reviews for Red Seal. I can confirm that the reviews are accurate. Alex came out and fixed our leak. His work was thorough and at a fair price. Alex was polite and professional. He explained a couple of different options and then went to work once we made up our mind. I would definitely recommend Alex and would not hesitate to call him for any future plumbing issues in our house. Called Alex to book an appointment to repair/replace a leaking laundry faucet. Had an appointment for the day I requested. Robin arrived and explained my options and the costs. Ended up replacing the leaking laundry faucet. Great service and attention. Would certainly recommend Red Seal. Long story short, we were faced with several catastrophic events at our home and needed someone to come look at it. After calling Red Seal, Alex was prompt and able to send someone in asap. Robin came to check out the damage (we needed to identify a basement leak). We went over the details of the leak, ran every test we could, and he pored over every possibility. He was friendly, knowledgeable, and provided several solutions. I felt the price was excellent too. All in all, the service was exceptional. We were definitely in a panic when we found our basement and washroom flooded few months back. Alex came within a few hours, inspected and resolved the drainage blockage within an hour or so. He used a camera and built a long device to unclog our blockage. We were very impressed by his expertise and ability to solve the problem so quickly. Something only someone with a lot of experience would be able to do. Will be using Alex as our plumber for all our future needs. My first time ever write review. The reason I decide to write this review because Red seal plumbing is going above and beyond their duties to resolve our sewage’s blockage in our tenants’ basement toilet and bath tube in the short time. Alex was very pleasant and professional. His diagnosis for the bloackage was very accurate. Last but not least, if I would give 6 stars for Ref seal plumbing instead of 5 stars. I previously used Milani plumbing and Rotor plumbing a few times. 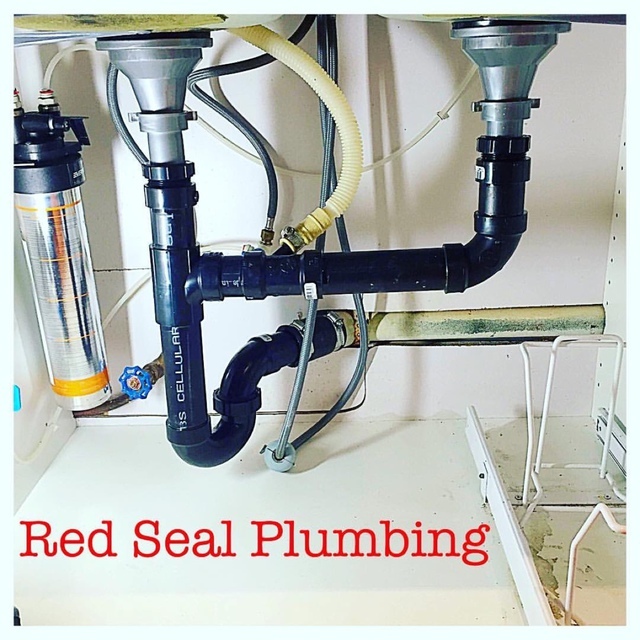 Anyone had problems with plumbing issues, I would highly recommend red seal plumbing. Honestly, I wish I would know this company a few years ago. Thank you Alex pushed back some of his jobs to take care of our urgent plumbing needs. My husband and I had a clogged drain and like many we tried unsuccessfully to unclog it using a wire but the wire became hopelessly stuck and the drain remained clogged! I called Red Seal upon the recommendation of my brother in law and they came to my aid! They scheduled a time around my workday and the Amazing Alex got the wire out when it looked like it was going to require a major repair and then I clogged the drain to where water was flowing down it better than when we moved in! They whole thing took maybe half an hour and getting that wire out was no small feat and could have meant opening up walls and tub removal but Alex kept up his efforts to get things done as simply as possible for me! I’d would and will be recommending Alex and Red Seal to everyone! Thank you Alex! Hi Elizabeth, we're ultimately satisfied only when our clients are. Super glad everything worked out, feel free to give us a call if any plumbing issue arises in the future. Have a great day! The cast iron pipe from the kitchen sink rusted out, leaking into the basement, Alex came right away and fixed the problem. Alex & Robin also came across a problem with the remaining pipe and fixed that as well. 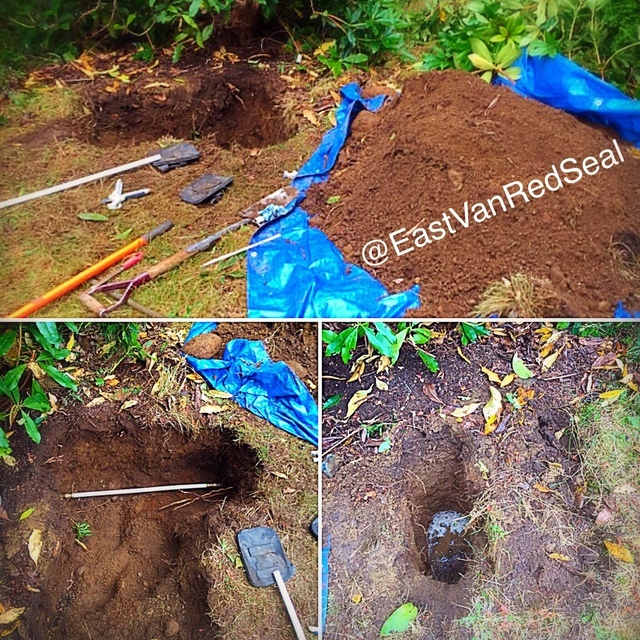 I will be using Red Seal for any future plumbing problems. Thanks for the Review! We were happy to not only fix the leak but also the clogged drainage at the same time! 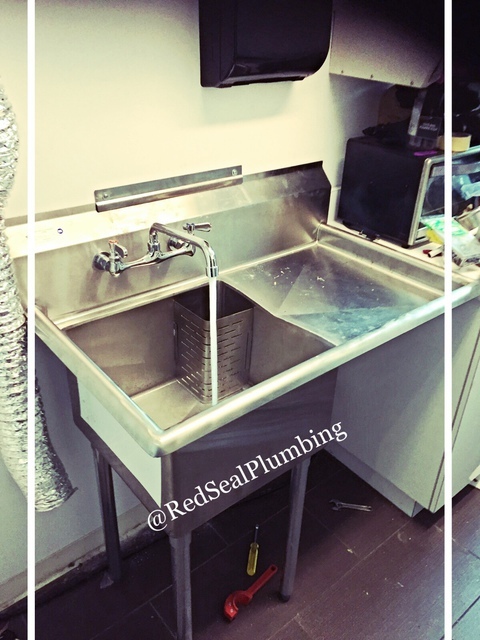 My kitchen sink backed up yesterday and I immediately called my friends at Red Seal. Alex came out and tried a snake on it, but it would not budge. At the last resort, he hauled out his plunger and that cleared the problem and for that, I am very thankful. Thank you, Alex and your great team of professionals! You're welcome Craig! We appreciate the 10 star review and the compliments! Have an awesome day! Blocked Sewer Line -- cleared! This problem was urgent: guest bathroom toilet (not used for days) spontaneously overflowed and flooded the basement after a shower elsewhere in the house. (Luckily the flood water was clean!). Preliminary diagnosis -- plugged sewer line. And more guests arriving later the same day! I called Red Seal before 8 am, and by 8:30 was talking to Alex, the plumber who would be doing the work. By 9:45 Alex was on site and at work. This house was not easy to work on: nearly 100 years old, ancient pipes, prior renos with botched plumbing, barely accessible sump to explore, numerous steps to haul equipment up and down, and throughout it all Alex was pleasant, explained clearly what he was doing, and was patient with questions. It was obvious he was knowledgeable and experienced, and that he enjoyed his work and solving challenging problems. Best of all, he found the blockage (roots growing into the sewer line), and with some effort managed to clear it! He got us through this emergency and made suggestions for future work we might consider. I would have no hesitation to have Alex back for any plumbing or drainage issue. If only all emergencies could turn out so well! We're so glad to hear everything worked out well. We apply our knowledge and skill set to assure the work gets done correctly the first time! Thanks for the detailed review and have a great day! 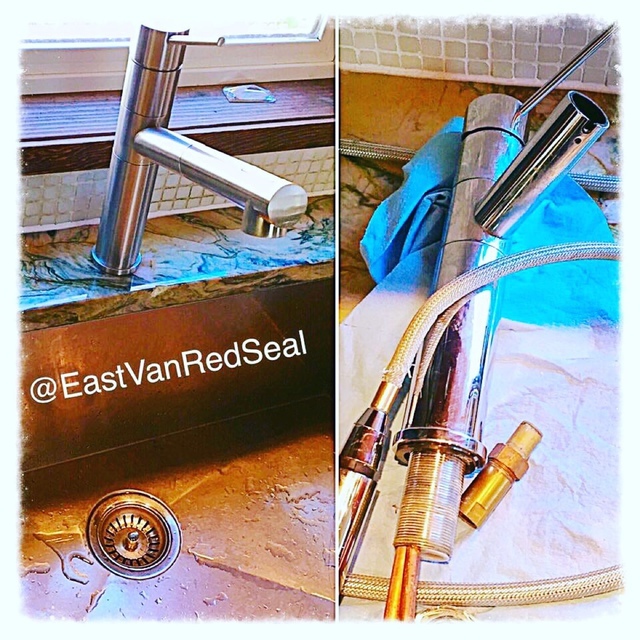 Red Seal Plumbing is a full service plumbing and drain cleaning company operating in the Greater Vancouver Regional District. We specialize in emergency services, but also maintenance and repair for new and existing commercial and residential customers. Our courteous and respectful crew is committed to providing honest, quality work at reasonable prices. First time customers and senior citizens (65+) receive a 10% discount when you mention this. Get fast repairs, whether the issue is a midnight backup, a mainline needing a clog removed or repairing a burst pipe, the customers get fast responsive service. Plumbing and gas-fitting expertise gives quick help and answers with a one-call solution company. 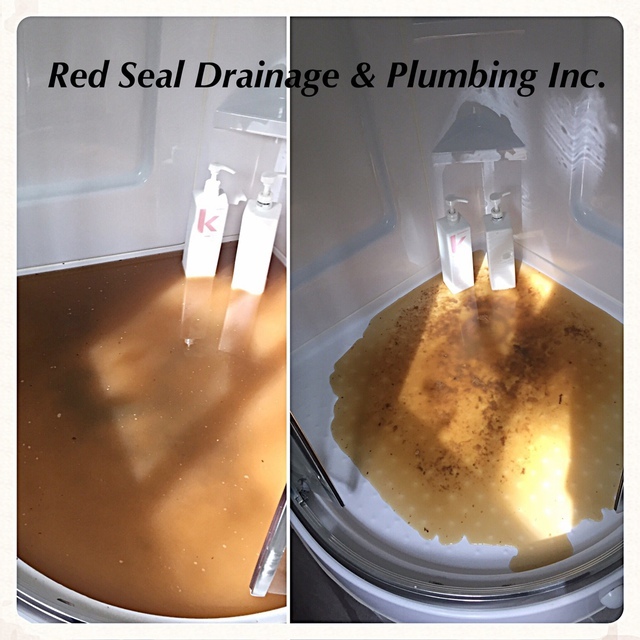 In 2008 Red Seal Drainage & Plumbing developed and started using a standardized system for Customer Service. Our business in helping people. That’s much more than just repairing pipes and improving homes. First time customers as well as senior citizens (65+) receive a 10% discount! Mention it when you call to book your next appointment. FAQs Clogged Drains: Q. How can a drain get clogged? A. Grease and garburators are two very common causes. Think before you put it down the sink. Drain Tile Damage: Q. How often should drain tiles be cleaned out? A. Drain tiles should be cleaned out ever 1-2 years depending on the type and age of the pipes. Q. What is drain tile made from? A. Clay tile of PVC. Flooded Basements: Q. What causes a flooded basement? A. Cracked foundations or plugged drain tile are common causes; as well burst pipes can cause serious damage. Garburators: Q. What can’t I put down a garburator? A. Your garburator is meant to shred food waste into pieces small enough—generally less than 2 mm (0.079 in)—to pass through plumbing. You should never place chicken skins, onion skins, potato peels, bones, egg shells or any other items that cannot be shred. Q. How do I repair my garburator? A. If your garburator isn’t working properly, it could be either a plumbing issue, and electrical issue or an issue with the appliance at all. If it isn’t working or making a sound, try pushing the red reset button on the bottom of the disposal unit and check the breaker. If it hums, but doesn’t turn, try using a broom handle to turn the cutting wheel inside the drain. If neither of these quick fixes work, you need to contact a plumber and consider replacing the unit. Sewer Lines: Q. 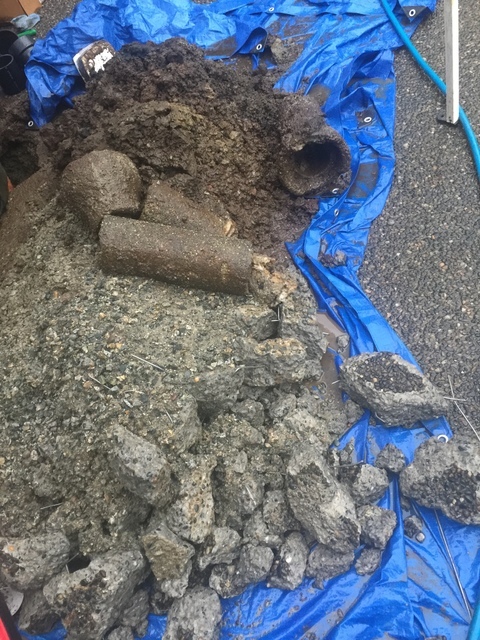 How often should sewer lines be cleaned out? A. Depending on their age, sewer lines should be inspected annually using a camera. In addition, if they have backed up in the past, they should be cleaned out every 1-2 years. Sinks: Q. What should I do if my drain is clogged? A. While some would think that a chemical drain cleaner is a good first step, they are very toxic in nature which can have a serious negative effect on your piping over time. Rather than using these toxic, pipe-deteriorating chemicals, try a few maintenance products that contain natural bacteria and enzymes. These do a great job limiting drain sludge and grease from building up. If these don’t work, contact your local plumber to have them professionally snaked. Sump Pumps: Q. How often should a sump pump be replaced? A. While there is no hard and fast rule for how often you should replace a sump pump as the need varies depending on how often the pump operators. Test your system regularly to make sure its fully operational by pouring a bucket of water into the sump pit and ensuring it kicks on, removes the water and shuts itself off. We’ve found that planning on replacing once every 10 years or so is a good practice, but again, regular testing will best advise you. Toilets: Q. What causes toilet back-ups? A. With regular usage, a toilet sometimes becomes clogged by toilet tissue and waste matter that has collected in the sewer drain pipe. When this blockage is coupled with the tampons, q-tips, hair, grease, and other debris, the proper air flow through the line causes a gurgling sound. This should be addressed immediately through the use of a drain snake. Q. How do you fix a running toilet? A. The most common cause of a continuously running toilet tank is the flapper, so start by replacing it. The part is inexpensive and it’s easy to replace (just turn off the water, drain the tank and replace the bad flapper). If it’s still running, it’s probably that the chain is too long and is getting caught under the flapper. Try removing a few links and reattaching. Q. What do I do if my toilet is leaking? A. There are actually 2 common causes of toilet leaks, the tank ball at the bottom of the tank or an improperly adjusted or broken fill valve. With the tank ball, the leak will occur around the seat on which the ball sits and drain into the bowl. With the fill valve, if the float is set too high or the shutoff doesn’t close, water will continue to overflow into the overflow tube. While both of these issues can be fixed by a homeowner, it is sometimes best to just have an expert check your entire system to eliminate any associated issues that have yet to surface.